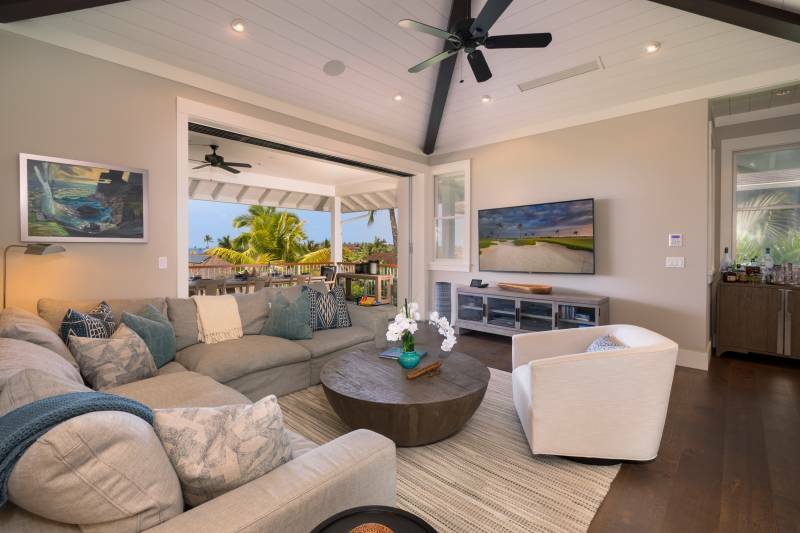 Hale Maia 11 is a two-story custom home beautifully located within Hawaii Island’s newest oceanfront luxury residential club community. 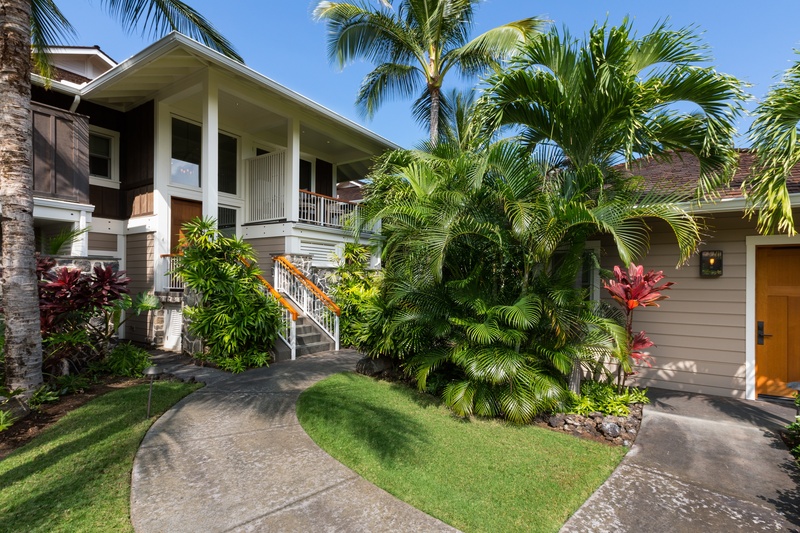 Situated just a short distance from all of the world class amenities at Kohanaiki, the property enjoys broad ocean, mountain, and Rees Jones Golf Course views from the second floor. Sophisticated, clean lines and an open floor plan define the interior space with hardwood flooring throughout the living spaces. Tile floors are found in the kitchen and bathrooms, and on the lanais. 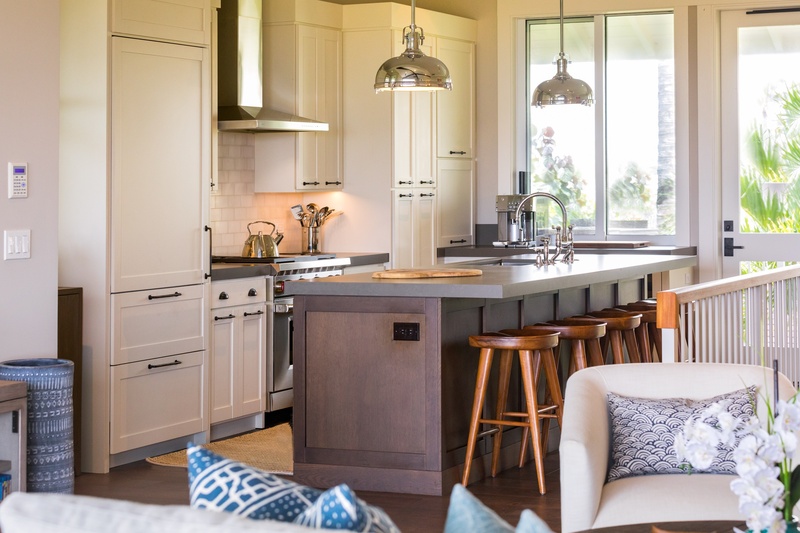 The dream kitchen features granite counters, a large kitchen island, top-of-the-line appliances, and a wine cooler. 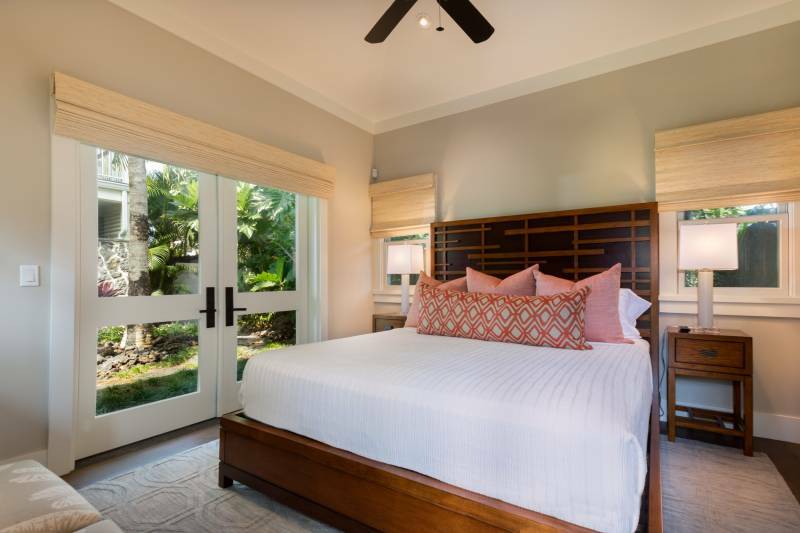 A detached one-bedroom ohana (guest house) provides extra space for overnight guests, providing privacy for all. Additional features include attractive tropical landscaping, lush outdoor showers, infinity pool, and spa. 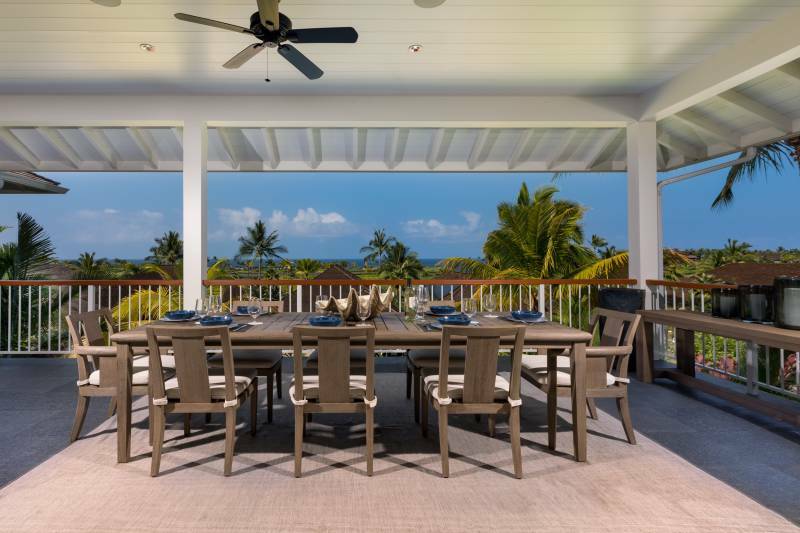 The spacious covered lanai with built-in grill is adjacent to the pool and offers the best in outdoor living and dining. This gracious home is beautifully appointed and is offered furnished with a few exceptions. 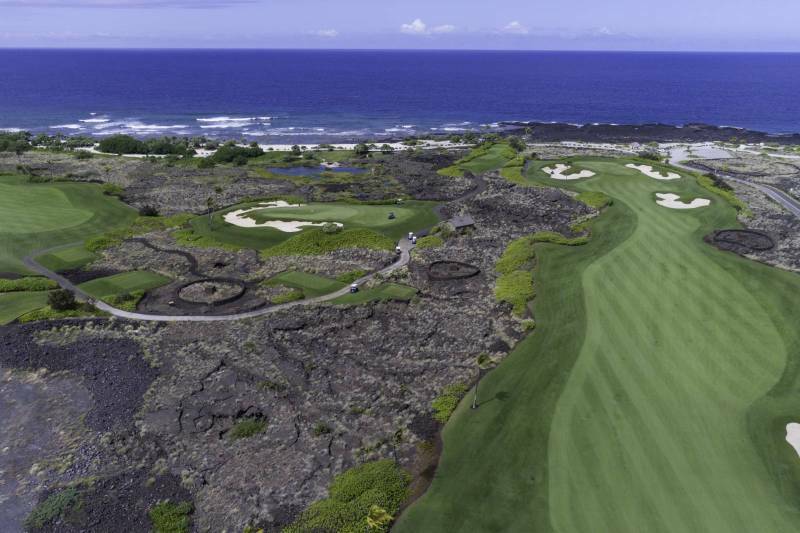 Kohanaiki is an exclusive private club community located on the Big Island’s spectacular Kona coast. Its amenities are unrivaled and include a championship golf course designed by Robert Trent Jones, a sports complex (tennis, basketball, and batting cage), beach club, state-of-the-art spa, fitness facility, locker rooms, several restaurants, and swimming pools. The highly skilled, professional adventure team provides residents and guests with ocean activities both on- and off- property. An exquisitely outfitted, multi-tiered clubhouse is home to the property’s signature restaurant, golf retail, and starter station, a movie theater and 4-lane bowling alley on the ground floor, its own brewery, and a wine room. 24-hour staffed security is provided at the gated entrance.